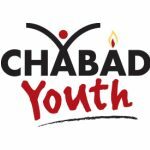 This is an agreement between Chabad Youth and the person hiring a facility in the Chabad Youth Building, at 1 A'Beckett Street, St Kilda East VIC 3183. **ALL booking prices include: Use of AV system, AC/Heat, podium, lectern, projector, a room divider, Set up* and clean-up of chairs and tables, general after function clean up, and use of the Simcha Lobby. **Kitchen’s may be used ONLY under strict supervision and under Hashgacha. Please discuss your plans for use of the kitchen before booking. * In order to ensure a successful set up, you must submit a complete set up, including all of your AV and furniture requirements, to the Chabad Youth Office at least 2 weeks before your scheduled event. a) To pay the Lease fee of $ and a fully refundable security bond of $200 to Chabad Youth. b) To keep the facility and every part of it and everything in it in good substantial repair and condition and to keep the facility clean and tidy and pay promptly for any loss or damage. c) To compensate Chabad Youth for the cost of repairs or replacement of any damage to the facility or to the furniture, furnishings, windows or equipment during occupancy. e) To permit employees of Chabad Youth at all reasonable times to enter and view the facility. f) To leave the facility and surrounds in a clean and tidy condition. g) To notify Chabad Youth of any occurrence that may have damaged the facility or caused injury or damage to a person. h) Ensure all lights, aircons, heating, AV and PA systems are turned off after the event has finished, before leaving. i) Remove all excess furniture brought in for the event. 2) The security bond of $200 will be returned to the Leasee when Chabad Youth ascertains that the facility has been left as required or taken from the total amount owing.